Equip your congregation for caring ministries. 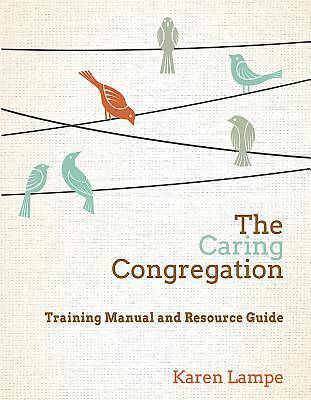 Although caring for one another within a church family is easy, the theology of caring, the practicalities involved and even visitation etiquette are issues about which Congregational Care Ministers must be aware and understand. In The Caring Congregation: Training Manual and Resource Guide, Karen Lampe has put together an indispensable manual that equips pastors and lay leaders with all the necessary resources needed to organize a Congregational Care ministry including handouts, worksheets, and templates, in addition to advice on teaching people how to listen, comfort, and encourage congregants. For more, readers can visit the Church of the Resurrection website for training videos and additional “how-to” leader information.